In case you didn’t know, Auston Matthews is good — consistently good. The center has now notched at least two points in every Toronto Maple Leafs game this season. With two assists on Monday night, he became the fifth player in NHL history – and the first Leaf – to accomplish the feat in his team’s first seven games of a season. In just his third year, Matthews joins an elite group. He ties Hall of Famers Mike Bossy (1984-85) and Wayne Gretzky (1983-84) at seven games, sits one game behind two-time Stanley Cup Champion Kevin Stevens (1992-93) and five games behind Stevens’ Hall of Fame teammate Mario Lemieux (1992-93). Matthews got his first assist of the night less than a minute into the game when he passed the puck to Jake Gardiner, whose quick release went wide. Kasperi Kapanen grabbed the loose puck and banked it in off netminder Jack Campbell to give the Leafs a 1-0 lead. In the third period, Kapanen grabbed the bad drop pass by Derek Forbort and broke out 2-on-1 with Matthews. Off the give-and-go Matthews fed Kapanen, who scored on the backhand for his second of the game to seal a 4-1 win. With the win, Toronto has won five straight and are 6-1 to start the season. 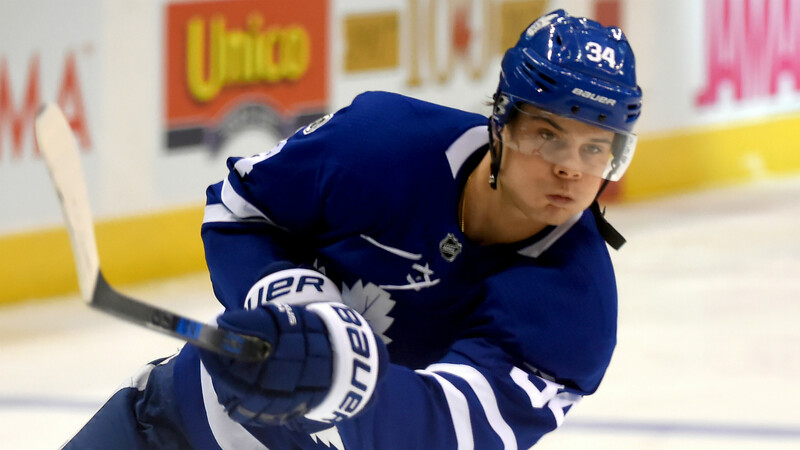 Matthews now has 10 goals and six assists in seven games this season. He’ll look to tie the former Penguin Stevens on Thursday when Pittsburgh heads to Toronto.